Globally, the protection and care of children and young people who inject drugs receives little attention. It is a controversial and often misunderstood issue and one that is severely underfunded. Global research presents shocking figures and evidence of restrictive laws preventing young people from accessing harm reduction. Rarely are services developed with children under 18 in mind, and organisations often lack capacity to attend to this highly vulnerable group. Young people also report experiencing significant barriers to accessing harm reduction services when they are under 18 due to a number of factors, including staff attitudes and organisational policies and practices. This tool is a product of a partnership between Harm Reduction International (HRI), Youth Rise, International HIV/AIDS Alliance and Save the Children and was developed in response to HRI research on injecting drug use among under 18s globally that highlighted gaps in the response for this group. 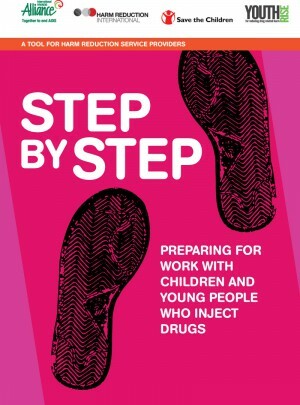 This resource is intended for harm reduction service providers with limited experience of working with children and young people who inject drugs. It sets out a process that you can go through quickly, with little cost, to prepare for work with children and young people who are under 18. It is designed to help your organisation and staff to feel safe in commencing this work, and to support you in thinking through the challenging situations and decisions that you face. In some cases, it may lead you to decide that you are not yet ready to go ahead with this work.